The owner of Equi-Stem is not only a long-time member of the horse racing community, he uses Equi-Stem’s services and products for his own horses. Because of that, Equi-Stem believes in offering low, affordable pricing for all its services, including cord collection, cord processing, laboratory, cryogenic freezing, and storage. Equi-Stem even provides a free collection kit for ease in the cutting and collection of the horse’s umbilical cord, and offers easy shipping. The entire process is safe for the horse and works for embryo transfer foals. Ease of collection to enhance the value of the foal to the breeder and future owners. Once the cord arrives at the Equi-Stem state-of-the-art laboratory, it is quickly processed by its experienced and professional staff. Its customers can rely on receiving impeccable service. 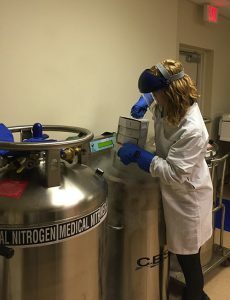 With its laboratory run by a PhD in biochemistry and molecular biology, Equi-Stem is aggressively researching and developing new products and stem cell therapy uses. 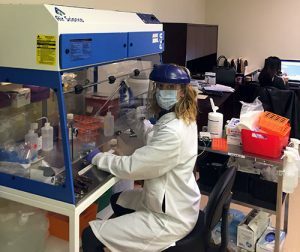 Equi-Stem is committed to monitoring and communicating to its customers the latest research in stem cell medicine. Equi-Stem is focused on the long term benefit of the horse for its breeders, trainers, and owners. Those breeders who choose to partner with Equi-Stem will have regenerative stem cells available to enhance the value of the horse. After speaking with a number of top trainers throughout North America, Equi-Stem has confirmed that an overwhelming number of them would love to have this tool for their future performance prospects. Due to the unlimited expansion of mesenchymal stem cells, horse owners will have the cells available to them for the life of the horse and Equi-Stem’s laboratory is capable of expansion in a timely manner.